Summer is here and the kids are out of school. Mine are running around yelling I'm bored, a lot!! 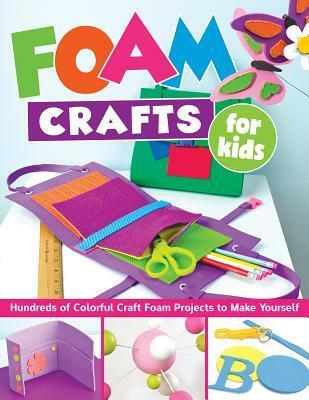 Foam Craft for kids features over 100 projects for the kids to make. Foam sheets are available in so many different stores and they are cheap. Our Dollar tree even sells them by the packs of several sheets as well as stickers and shapes. This book is great for kids of all ages and even us adults can have fun with this book. The thing I really like about this book is is get the imagination flowing and the kids can create these projects their way and also come up with some new projects on their own. Who knew few foam sheets and bottle of glue could save Mom's sanity?